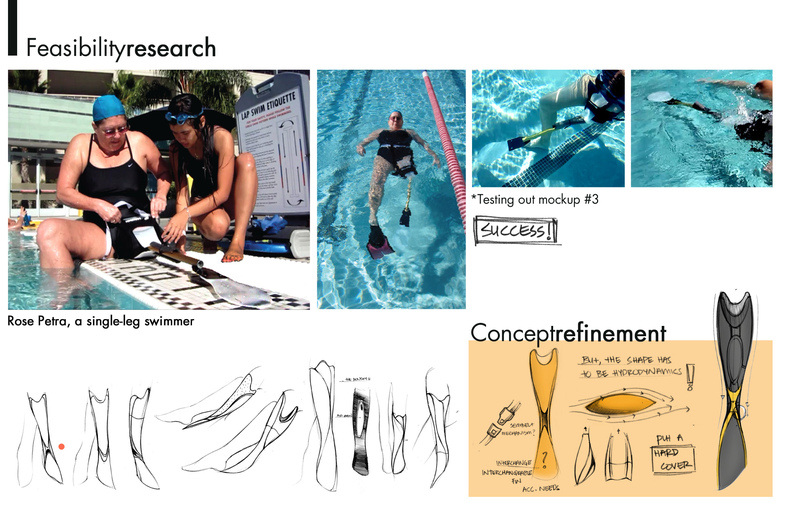 One with the Water® recently completed, with Della Tosin, a design student from Indonesia studying at the Pasadena, California, Art Center College of Design, Project Elle. 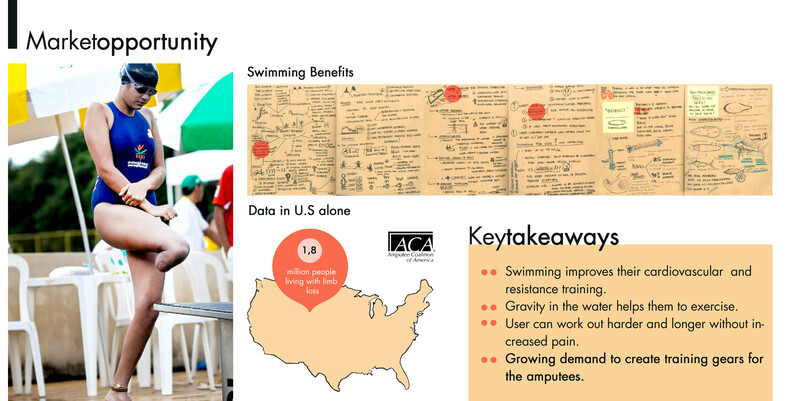 One with the Water®’s professional participation was that of mentor and swimming expert. 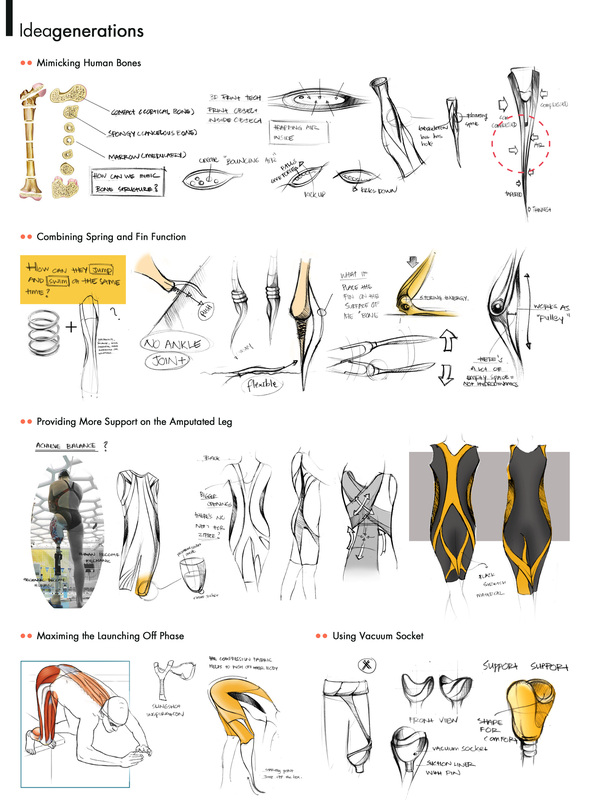 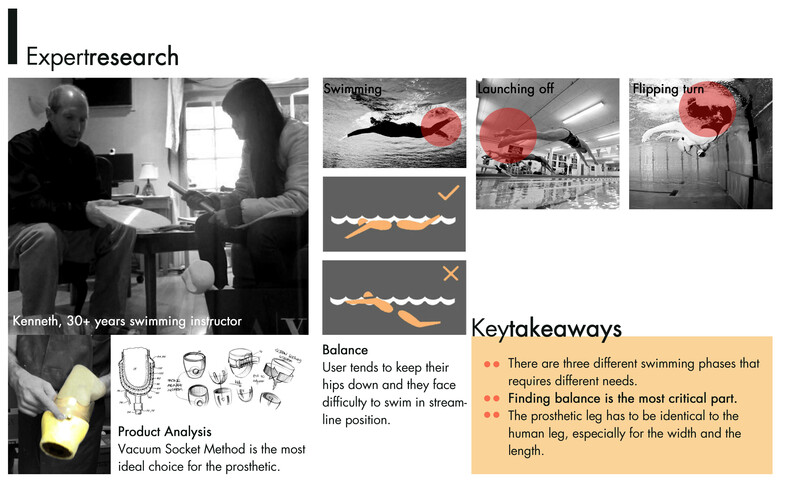 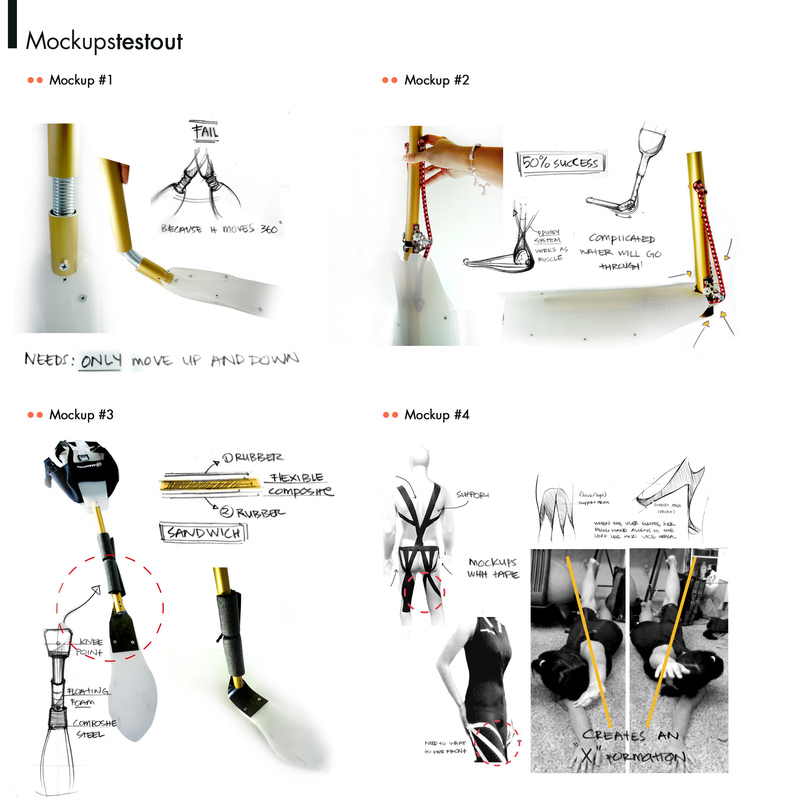 Working with Della, One with the Water® assisted her in designing a leg with attached swimwear that would most replicate and assist an amputee swimming in overcoming a lack of balance and gain stability and mechanical advantages of a human leg. 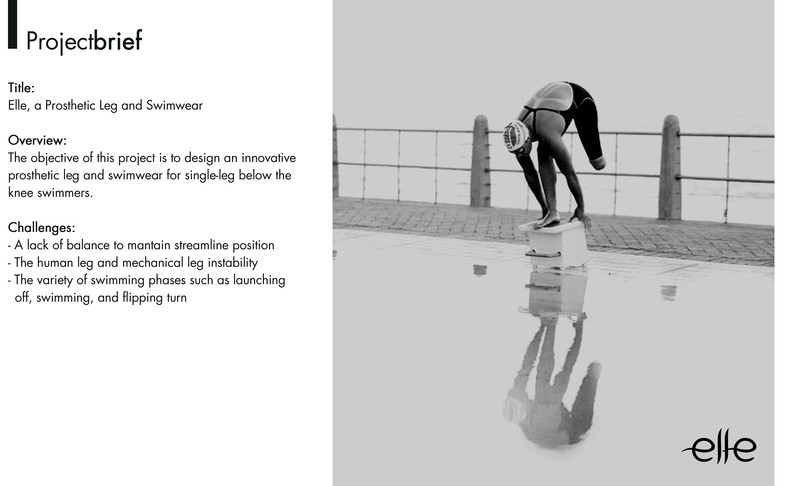 The final design features a support liner and elastic bands sewn into compression fabrics. 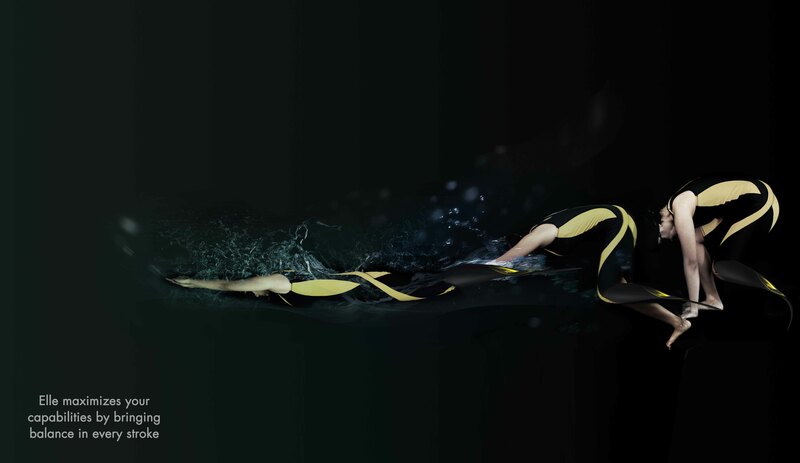 We created an adjustable air chamber to provide buoyancy for maintaining the streamline position. 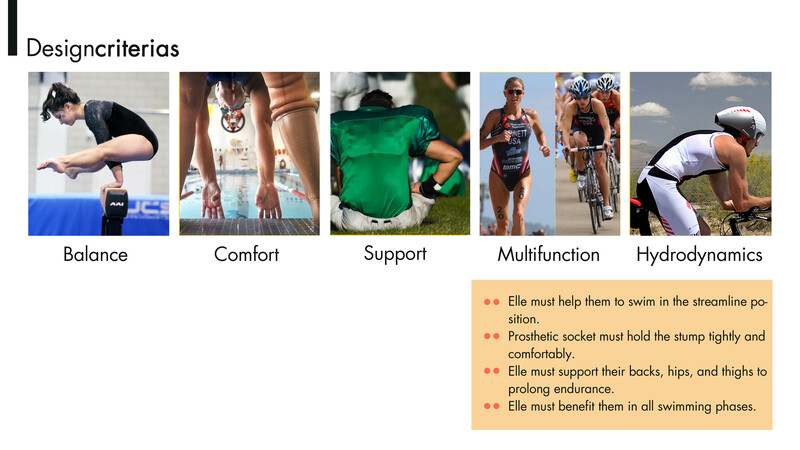 The “ankle” is flexible to optimize starts and turns! 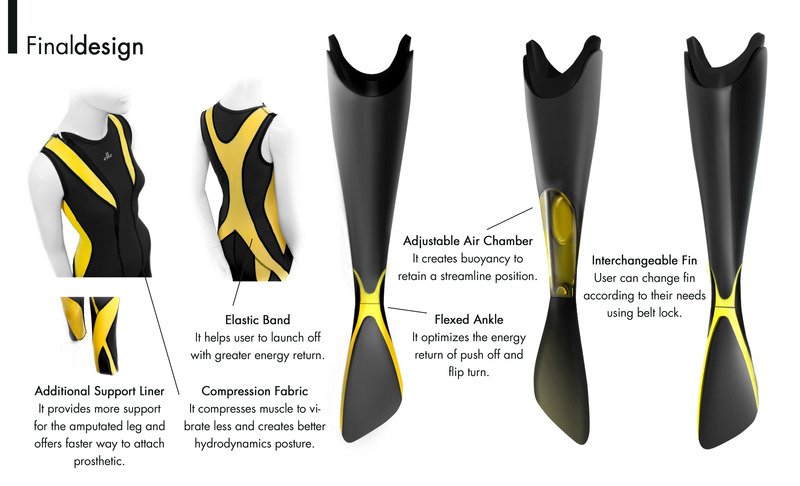 And it comes with an interchangeable fin, depending on the swimmer’s foot size.